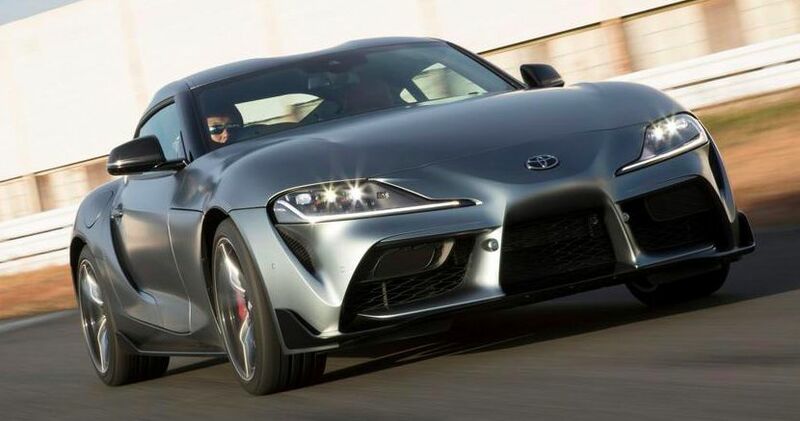 The fifth generation rear-wheel drive sports car Toyota Supra debuted in Detroit. In Japan and nowhere else Supra will be sold with a 4-cylinder engine (SZ and SZ-R configuration). The 5th generation car, which was made with BMW, took the rear wheel drive base from the BMW Z4 along with 6-cylinder B58B30 turbo engine. For the first time, the model will receive a budget version with a 4-cylinder unit (2.0-liter turbocharged unit BMW B48B20) and 8-band 'automatic.' The novelty will acquire not only a 6-cylinder motor but also a 4-cylinder one for the Japanese market. The 4-cylinder unit has two power versions - 197 and 258 hp with 320 Nm and 400 Nm respectively. The model with a 6-cylinder engine develops 340 'horses' and 500 Nm.